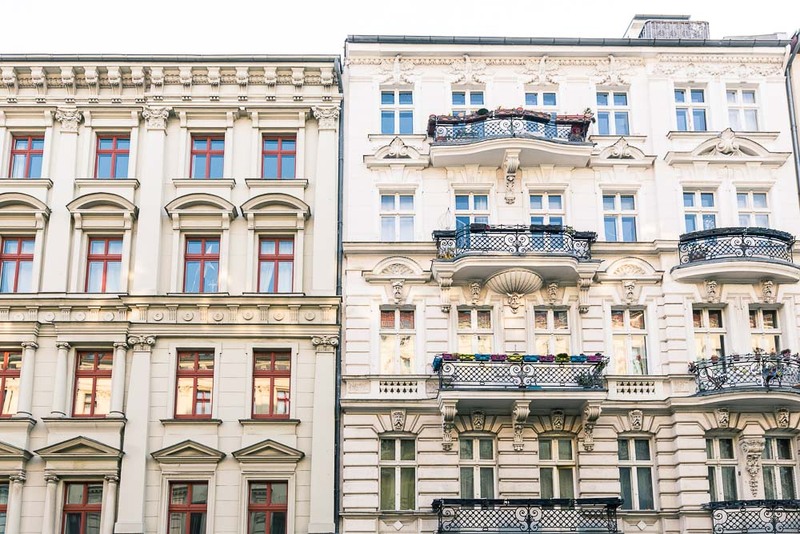 Charming old houses under a Berlin summer sky, Kreuzberg. Cruise the German capital like a local… Andreas Murkudis, Berlin art and design scene stalwart, and Insider at Hotel de Rome, Berlin (Rocco Forte Hotels), shares the secrets you need to know. What’s your Favourite place for brunch / breakfast? That would be the espresso at Café Einstein on Kurfürstenstraße. Everything just works really well here. The service is exceptional and the coffee is just as good, not to mention the wonderful breakfast. Moreover, the historic background of this bistro plays an essential role in the atmosphere of the place, as it was once owned by the actress Henny Porten. Your top spot for lunch in Berlin? Maiden Mother & Crone on Potsdamer Straße is a beautiful restaurant, which offers delicious seasonal lunches with a variety of spices and wine. Where would you recommend for dinner? Berlin that serves the same high-quality Japanese cuisine. I really enjoy having dinner there, although I must admit that the atmosphere is anything but inspirational. What’s the best place for a drink? The Victoria Bar on Potsdamer Straße. Where do you like to go for a wander? I am very fond of the Tiergarten. This area, right in the heart of the city, is impressively green and quiet. Only slightly removed from the bustle of Berlin, you’ll surprisingly only come across a few people. What’s your favourite cultural spot? Most of all I love looking at the art in Esther Schipper, Thomas Fischer, KOW and BQ galleries. These galleries stand for a contemporary view and represent artists who create dialogues through their work, break through ‘viewing habits’ and thereby move between various mediums. I can identify myself with this way of thought and the diverse perspectives. You’re the founder of concept store Andreas Murkudis, which showcases fashion and design in a gallery-like presentation. Is Berlin an interesting / exciting place for fashion? There is a lot of talent in this city, creating interesting and dynamic points of views. Yet, I have the feeling that the diversity lacks support from the city and industry, which is why I see the founding of the Fashion Council Germany in 2015 as a positive enhancement. Where is your favourite place to experience fashion in Berlin? Whenever I have time, I stroll through the small streets around Rosenthaler Platz. I still know several shop owners from my early days at Münzstraße and I am always happy to be there and observe their development.